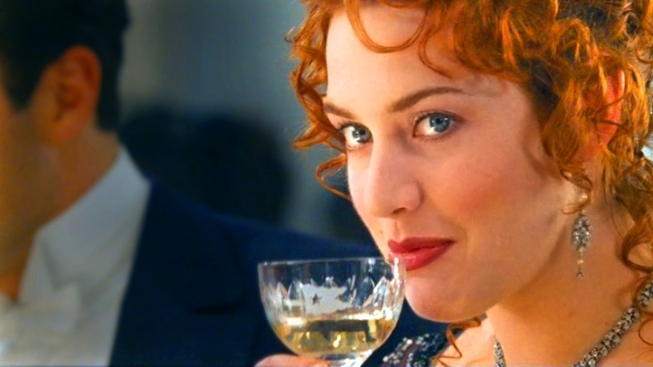 Kate Winslet's breasts have been censored in the 3D version of James Cameron's epic movie "Titanic" in China. The British starlet is only shown from the neck up in the steamy scenes. Kate Winslet’s “Titanic” assets have been deemed too hot for Chinese audiences. The 3D version of James Cameron’s epic film “Titanic” premiered in China this week and was an instant box-office hit. But moviegoers did not exactly get to experience the full picture. Officials at China’s State Administration of Radio, Film and Television censored Kate Winslet’s voluptuous breasts in a key scene that shows the British starlet in the buff as heartthrob Leonardo DiCaprio sketches her body, E! Online reported. In the 3D version of the film Winslet is only shown from the neck up. Chinese cinema-moviegoers were not thrilled about the censorship, The Times of India reported.